Allotments and garden plots allow residents to join the gratifying career of growing plants, working physically, but resting soul. And, although almost all fruits, greens and vegetables you can buy in the store year-round, many prefer to grow them on their own sites. Crops grown with your own hands is healthier and tastier. Increasingly, plots are not only used for plantations of vegetables, but also as a place of leisure with a comfortable country house. On the same 6-8 acres is required to accommodate not only the structure but also auxiliary buildings – bath, garage, decorative shrubs, flowers, fruit trees and several garden beds with herbs and vegetables. The question is how to do it right to involve those areas, most of which are in the shade or where the light is scattered. As a rule, fruit trees are planted around the perimeter along the fence, and fruit and ornamental shrubs along the center of the plot, to distinguish it, thus, into functional areas. But flowers and vegetables can be planted on the remaining free "Piglet" given the fact that some of them prefer the sun's rays, and the part of the plant is shade-loving and shade-tolerant. Note that the reduced requirements for the amount of sunlight, usually entails higher demands on soil moisture and its composition. Therefore, choosing vegetables for planting in the shade, be sure to provide them with the necessary composition of the soil and regular feeding of compost in the maturation of the crop. Of course, sunlight is still required for any vegetable, but even if it will get to the section of only some time or penetrate through the foliage, for some types of vegetables and this will be enough. Grows well in the shade almost all greens: lettuce, spinach, sorrel, horseradish, rhubarb, parsley, dill, cilantro, celery and mint. In the shadow of the well growing onions, including leeks, garlic. These plants just need regular watering and sunlight for 4-5 hours a day. Love the shadow of the beans, upright beans and peas. Thrive in shaded areas under the fruit trees root crops – radish, radish, beets and carrots, as well as all the cruciferous family: cabbage, Chinese, cauliflower and broccoli. Ensure that these vegetables regular weeding and plant them in rows in the direction East-West to get the maximum amount of scattered sunlight even in the shade. 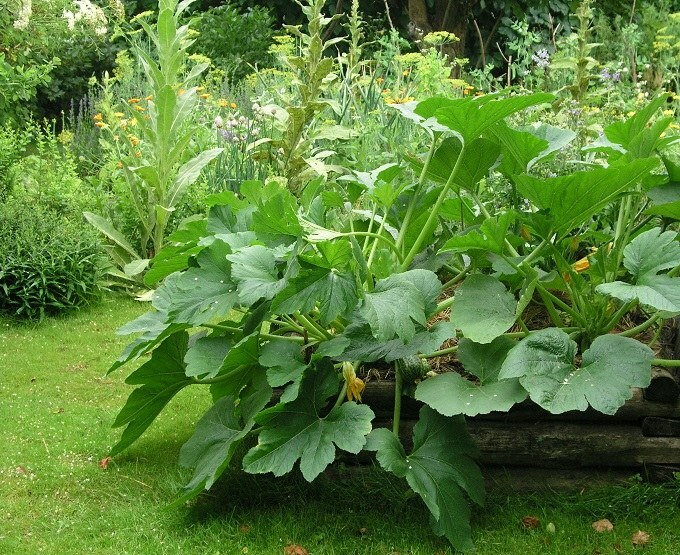 In southern regions, grow well in partial shade, some varieties, usually sun: zucchini, cucumbers and tomatoes. The lack of sun, maybe just to push some ripening, but will have no impact on their taste and size.